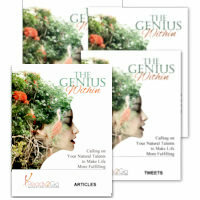 Audio Training Program: The Genius Within - Calling on Your Natural Talents to make a Life More Fulfilling from Ready2Go Marketing Solutions, Inc.
Have you ever wondered if there’s something more you should be doing with your life? Have you ever felt that you were meant for something special…something great, but can’t quite put your finger on it? What you're feeling is your "calling". It's that hidden potential burning within you, just begging to be expressed, and activating it will make everything in life much easier and more enjoyable. We were all meant for something amazing. We each have greatness inside of us. But what does that look like? What is this secret gift? This 6 part audio training will help your clients become more aware of their unique abilities, and discover enjoyable ways to make their dreams reality. They'll listen to the audios, take notes, do the activities, and be inspired to discover and claim the true gifts they have to offer to the world. Audio #1 – Talent? What Talent? 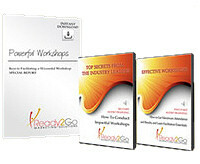 Order The Genius Within audio training program today.